For Angela Merkel, Emmanuel Macron’s victory in France at last signals the moment for deeper European integration: on immigration, defense, and – to a point – eurozone reform. In his final years Helmut Kohl often publicly complained about his estranged political protégée, Angela Merkel, without ever mentioning her name. These tentative shifts, on Greece and Europe, set the stage for a reconciliation of sorts with Kohl in September 2012, at an event she organized to mark the 30th anniversary of his election as chancellor in 1982. The occasion offered Kohl a plattform alongside Merkel to proclaim: “Long live Europe!” A short time later she had her press office circulate a photo showing the chancellor and her political mentor sitting harmoniously on the terrace of Kohl’s bungalow. 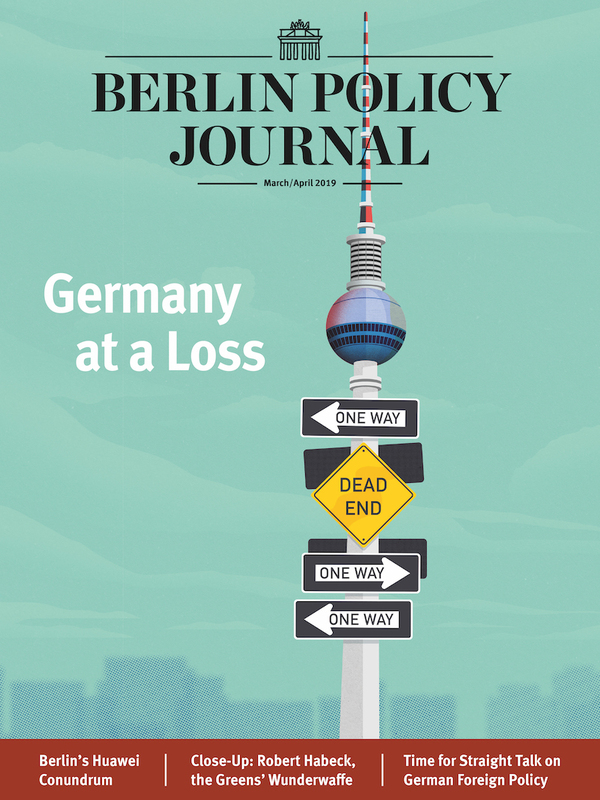 The next lap came in 2015 with a paradoxical role-reversal, this time involving Merkel’s Finance Minister Wolfgang Schäuble. Despite his own differences with Kohl, Schäuble sees himself as the executor of the former chancellor’s European legacy. And yet he was the one who put stirred the pot by pushing for the Greeks’ departure from the currency union. Schäuble was wary of the anti-European antics of the new leftist government in Athens and hoped waving the Grexit stick would bring remaining members into line, backing the kind of closer euro union Merkel didn’t want in the first stage of the crisis. She recognized that Germany could no longer use the EU’s Dublin refugee rules to fob off the asylum question to particularly burdened member states like Italy or Greece. In addressing the EU’s refugee shortcomings the European Commission – long viewed suspiciously by Merkel – became an ally. 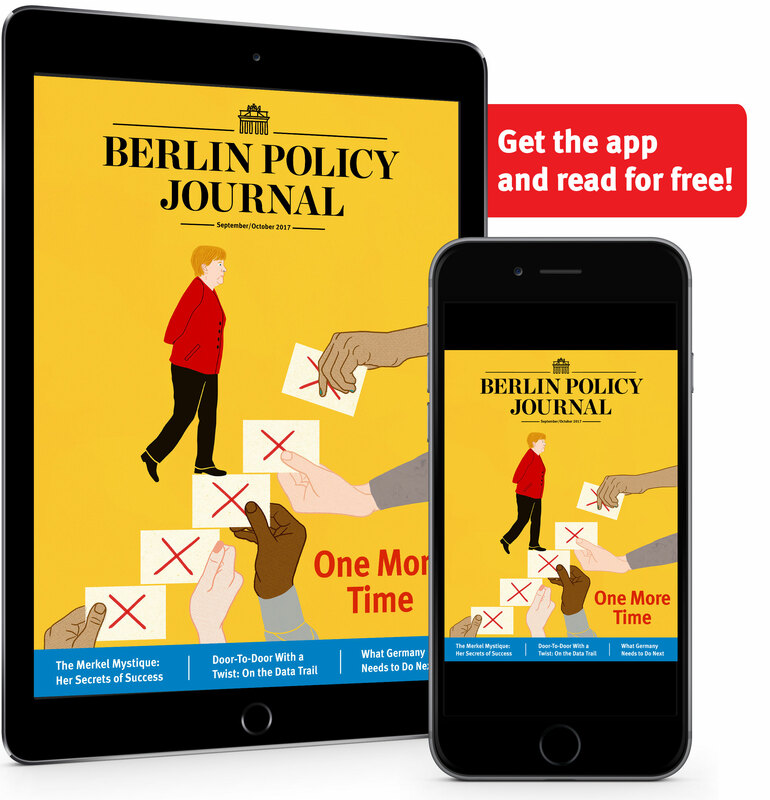 After taking a tough line in the Greek crisis, the chancellor didn’t want to be viewed as the leader who allowed refugees to rot at the EU’s borders, or who sacrificed the passport-free Schengen area on the altar of absolute German power. But not even that vast humanitarian crisis could transform Merkel from a “sober European” (Vernunfteuropäer) into a “heartfelt European” (Gefühlseuropäer) like Kohl. She believes in EU economic reform because, after watching her East German homeland collapse, she is convinced that the only good Europe is a competitive Europe. Because her points of reference were always West Germany and the United States, however, she struggled for a long time to grasp – and accommodate – the fundamental importance of France for German EU policy. From the start, her European experience has been a salvage operation: tacking back together the pieces of predecessors’ grand visions that shattered when put into political practice. 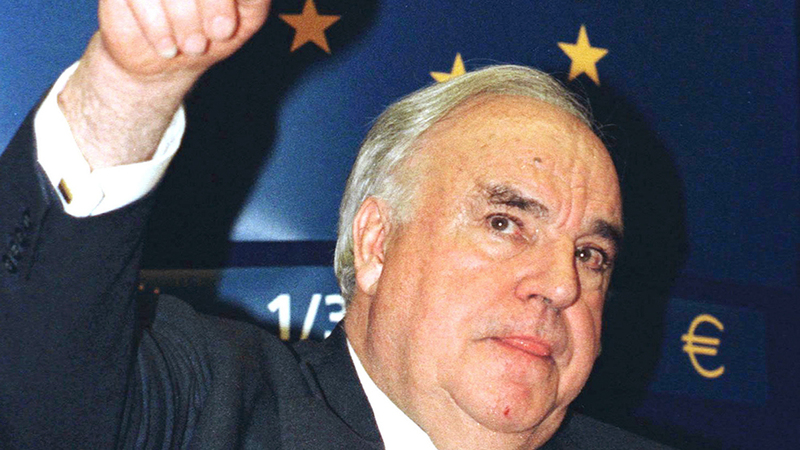 The EU’s recent existential crises, for instance, exposed the weaknesses of the currency and Schengen unions: two visionary ideas of Helmut Kohl that lacked crucial components in their foundations. After managing several existential crises, important laps on Merkel’s European journey, the moment when Merkel gave up her fundamental opposition to further EU integration can be traced back to June 23, 2016, when the UK voted to leave the EU. The outcome was something no one in the chancellery seriously anticipated – and it changed everything. Merkel’s post-Brexit priority: to hold the rest of the union together, at any price. That determination chimed with public opinion. Weeks after the British vote, Germany’s Allensbach polling institute found that Germans had become “more conscious of the European Union’s benefits.” For the first time since the fall of the Berlin Wall in 1989, a relative majority of Germans wanted faster European integration. The chancellor felt vindicated by pro-European demonstrations under the “Pulse of Europe” banner and launched a round of shuttle diplomacy, visiting all the important and many less important European capitals before the post-Brexit Bratislava summit. By the time of their first gathering after the British vote to leave, the remaining EU leaders were more unified than ever. All of a sudden, the community of Europeans had what it had lacked since the end of the Cold War: a common external enemy. And after the Brexit shock and Trump debacle, election results in 2017 have turned out far milder than feared: Dutch voters halted their populists, and the pro-European Emmanuel Macron secured a two-thirds majority for himself and a comfortable parliamentary majority. In Italy, where an election is due next year at the latest, poll numbers for the populist, euroskeptic Five Star Movement are in decline. For Merkel the greatest priority in securing the EU’s future is addressing uncontrolled Mediterranean immigration. Another is greater German military cooperation with its EU partners: France, the Netherlands, Poland, and, more recently, the Czech Republic and Romania. A third component is reform of the European economic and currency union. While Merkel has ruled out pooling member states’ sovereign debt – so-called eurobonds – she has never ruled out sovereign bonds issued by a future eurozone finance minister to support pan-European investment or as bridging loans for reforming governments. Helping the new French president to succeed, where possible, is another component of Merkel’s European plan. Phase one involved lots of friendly words before the French parliamentary elections in June. The next phase begins after Germany’s federal election at the end of September. With that in mind Merkel will, in the looming election campaign, rule out nothing that could tie her hands afterwards. Quite the opposite: she is deploying pro-EU rhetoric to secure a mandate for further integration steps. All of this is quite a shift for the German leader. Her decades of engagement in EU policy shows that concrete circumstances will dictate just how much of her plan becomes reality. She may have reconciled herself with the late Helmut Kohl and his European politics, but Angela Merkel will always remain a power pragmatist. is economics correspondent for Frankfurter Allgemeine Sonntagszeitung (FAS) in Berlin.